Happy 95th Birthday to BKS Iyengar! 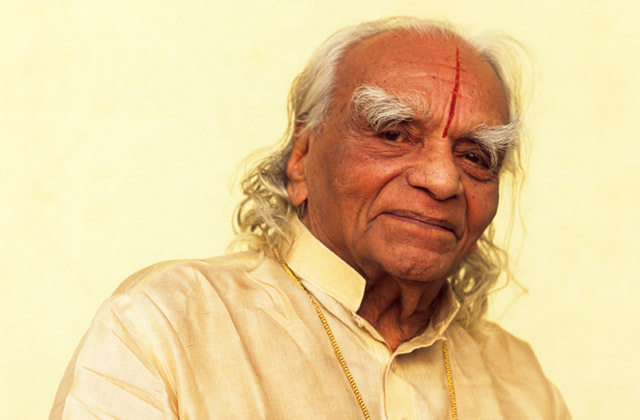 Today, December 14th, 2013, is yoga master BKS Iyengar’s 95th birthday. Born in 1918, BKS Iyengar is a living legend, as the founder of Iyengar yoga, the writer of many authoritative books on yoga, and the yoga acharya of many students and followers all over the world. BKS Iyengar has been practicing, teaching and writing about yoga for over 75 years… We see where yoga is today – thanks to his many classes and demonstrations, and many many books which have become guidebooks for so many students. Which yogi can say he or she was not influenced directly or indirectly by BKS Iyengar? His contribution to yoga is boundless and overwhelming. A life dedicated to yoga – thank you BKS Iyengar! The yoga.in team wishes Guruji a blessed 95th birthday!